Over the last year, our own Contributing Writer Tia Shah, has been writing an amazing column about trailblazing girls throughout history. This new Incredible Girls column is in that vein, only this column is about contemporary girls under the age of 25 who are doing awe-inspiring and significant things in the world. Every Friday in 2019, we are going to post a column detailing the life of an Incredible Girl and why you should know about her. Read on for a glimpse into the life of climate change activist, Greta Thunberg. As I said last week, this column might turn into a love letter to badass climate change activists for the next couple of columns — and I regret nothing because they are all so incredibly awesome and a fitting part of this Incredible Girls column. Let’s dive in. 16-year-old Greta Thunberg is a certified badass — and by that I mean, she pretty much single handedly launched the wave of teenagers protesting for action on climate change that has been sweeping the globe lately. 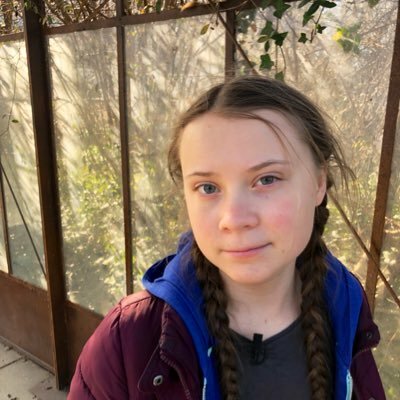 The teenager captured the world’s attention in August 2018 when she started the first school strike for climate change, going on strike outside the Swedish parliament during election time to urge Sweden to follow the Paris Agreement guidelines. She spoke about her climate change activism at TEDxStockholm last year — the whole video, around 11 minutes, is worth a watch. In the talk, she spoke about how she walked out of school and began organizing to raise awareness of climate change. “The climate crisis has already been solved. We already have all the facts and solutions,” Thunberg said. “All we have to do is to wake up and change.” Greta also got to speak at the World Economic Forum at Davos in January 2019. The Guardian published a recent profile of Greta where she said she thought she was too small to make a difference — and now, months after her solitary movement sparked a global wave of protests, she is excited by all of the change. She said that she was inspired by the students of Parkland who organized March For Our Lives. She concluded her TED talk by mentioning the “30 years of pep-talking” and ideas around climate change, while addressing the need for action. I loved the very end of her speech, however: “We can’t save the world by playing by the rules, because the rules have to be changed. Everything needs to change — and it has to start today.” I think it is a super inspiring call to action, and really has made me think. So here’s to Greta, long may she continue to fight for what is right — Lord knows the adults in power aren’t doing nearly enough on that front, especially where climate change is concerned.